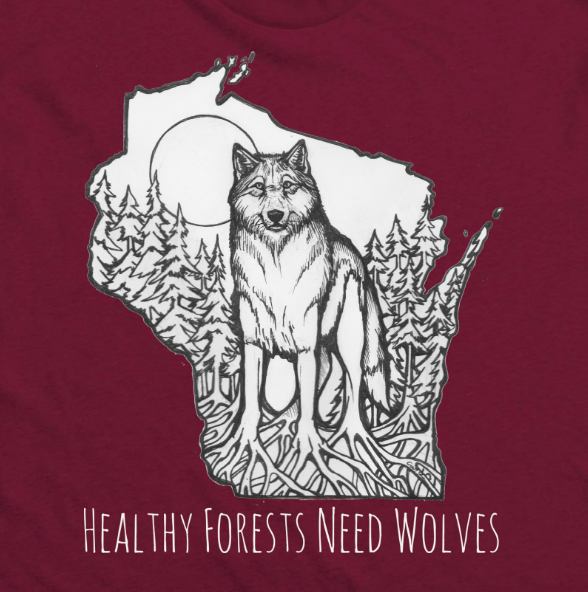 On April 11, 2018 hundreds of wildlife advocates in Wisconsin, Michigan and Minnesota gathered in solidarity at their state capitols to meet with lawmakers and speak for wolves and wildlife in the Great Lakes region! Constituents were vital in persuading legislators that wildlife belongs to everyone and that keystone species, like wolves, need special consideration and protections. Wildlife Day was an opportunity to bring together ethical hunters, non-consumptive users, scientists, silent sports enthusiasts, farmers, tribal members and anyone who truly cares about wildlife as a unified yet, diverse voice for policy. HOWLS OF THANKS to Lush Cosmetics, The Humane Society of the United States, Endangered Species Coalition, Keep Michigan Wolves Protected, Songbird Protection Coalition, Dr. Adrian Treves, Cait Irwin and ALL the volunteers who helped make this day happen…we could not have done it without all of YOU!!! While Wildlife Day was a step in the right direction, all Wisconsin residents are still needed to continue speaking out for our wolves. In the meantime, please continue to submit your Letters to the Editor, and write/call your state senators, representatives urging them to keep our wolves and wildlife protected. Learn more on our Take Action page. From the bottom of our hearts, THANK YOU for taking action and being a voice for wolves and wildlife! ← VICTORY: Great Lakes Wolves Remain Federally Protected!